Bethcar Dental Practice support the following charities through fund raising and charity events. 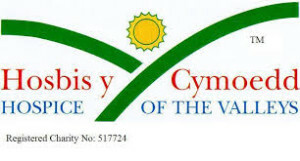 Hospice of the Valleys is the Blaenau Gwent Hospice, caring for over 500 patients every year, with a team of specialist palliative care professionals dedicated to providing hospice care; taking care not only of people`s physical needs, but also providing for their emotional, spiritual and social needs; helping them to live as actively as possible after diagnosis to the end of their lives, however long that may be and the highest value is put on respect, choice and quality of life. Bethcar Dental Practice take part in the annual ‘Lap the Lake’ fun run and the Kapow Superhero Inflatable Challenge, and have raised over £25,000 for the charity. Each Christmas The Trussell Trust takes thousands of shoe boxes filled with presents to some of the poorest people in Bulgaria. Bethcar Dental Practice supports this charity to help bring Christmas to poor and marginalised children and families all over the country. All the staff find this extremely worthwhile, as it allow us a chance to spread some Ebbw Vale Christmas cheer to Eastern Europe.